Online Application Details for Unique Identification Authority of India UIDAI Recruitment of 1 Assistant is given below. Candidate should be have analogous post in the same scale in Central Government/State Governments/UTs/PSUs/Autonomous Bodies. 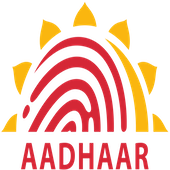 Application form and duly attested documents are to be sent to The Assistant Director General (HQ), UIDAI, Regional Office, TC/46-V, 3rd Floor, Vibhuti Khand, Gomti Nagar, Lucknow – 226010. In envelope super scribed with 'Application for the Post of Post Name'.